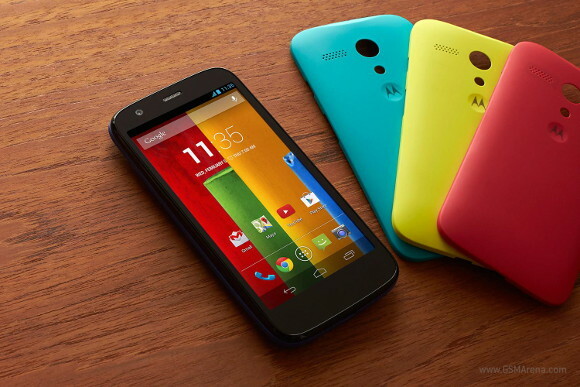 Just when we thought that the price of the Moto G couldn't get any lower, it did just so. The handset's price tag got knocked down to $100, therefore making it the best spec'd Android phone for the money. Don't get too excited however, as this offer is currently only available for the Verizon-only version of the Moto G, so anyone who resides outside of the US will be out of luck. The Los Angeles Times reported the lower priced CDMA variant of the Moto G, indicating that it will be sold through Best Buy retailers all over the United States. Best Buy spokesperson Jonathan Sandler confirmed the news: "The phone is currently landing in stores and is available for sale as soon as it arrives." If you're interested in the Moto G and are currently living in the US, you may want to consider picking one up and using it with Verizon's new and more affordable prepaid smartphone plans. A phone that only works in CDMA at 3.6 megabit per second? Who cares. Will this work on Sprint????????????? ?